The ARRL report the FCC has invited comments by February 18 on the latest batch of draft recommendations of its Advisory Committee for World Radiocommunication Conference 2015 (WRC-2015). WRC-2015 will consider a number of issues that could impact amateur allocations above 420 MHz, including a possible extension of the current worldwide allocation to the Earth Exploration-Satellite service in the band 9300 to 9900 MHz by up to 600 MHz “within the frequency bands 8700 to 9300 MHz and/or 9900 to 10500 MHz” Incumbent services in the 9900 to 10500 MHz range include the Radiolocation, Fixed, Mobile, Amateur, and Amateur-Satellite services. The Amateur Service is secondary at 10000 to 10500 MHz worldwide, and the Amateur-Satellite Service is secondary at 10450 to 10500 MHz worldwide. Comments should reference IB Docket 04-286 and specific recommendations by WAC document number. Interested parties may file comments via the FCC’s Electronic Comment Filing System (ECFS). Headline Details: CubeBug-1 is the first technology demonstration mission for a new cubesat platform design (mechanics, hardware and software) intended to be released as Open Source and Open Hardware for its use in Amateur projects, University projects and research labs. This projectis sponsored by the Argentinian Ministry of Science, Technology and Productive Innovation. As payload on this first mission, some custom designed components will be tested: an ARM based on-board computer, a nano-reaction wheel with its driver circuit and a low resolution camera, all based on COTS components. Planning to use half duplex communications on UHF with 9k6 GMSK data. 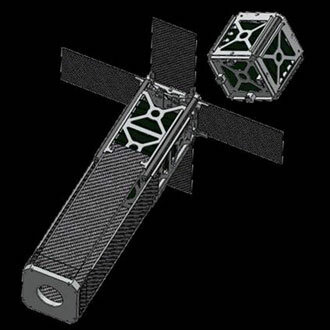 CubeBug-1 is a 2U cubesat and isexpected to be launched as part of a group of cubesats in a DNEPR rocket launch planned for September 2012 from Yasny into a 607km 98 degree polar orbit. After the technology demonstration part of the mission is over, the satellite will enter a mode that will include services to the Amateur radio community, including a Digipeater, science data downloads from the payload (including images if possible), etc. The SSB/CW linear transponder amateur radio satellites such as VO-52 are great fun to work but the technique required is different to that used for the FM satellites. Simon 2E0HTS has produced a video showing how to make contacts through VO-52. Using a home-made 10 element 435 and IO Loop for 145MHz, with a Yaesu FT-847. Simon – 2E0HTS, adjusts his (uplink) transmitted signal to correct the Doppler of the received (downlink) frequency whilst talking to fellow Ham operators around Europe. Thanks to the stations worked via the VO-52 satellite which were SP9FPP, PD0HF & SP6DCO. Most linear satellites use what are known as ‘Inverting Transponders’ to reduce the Doppler shift. You transmit lower sideband (LSB) on the uplink and it appears as upper sideband (USB) on the downlink. When working through linear transponders use as little power as possible, this will help extend the lifetime of the transponder and satellite batteries. As a guide ensure your downlink signal is no stronger than the satellite beacon. Low duty cycle modes such as SSB and CW are recommended. The amateur radio satellite HAMSAT VO-52 ceased operating on February 28, neither it’s beacon or 435/145 MHz SSB/CW linear transponder have been heard since. Ib Christoffersen OZ1MY reported that he heard and briefly used the transponder on the pass with Acquisition of Signal (AOS) in Copenhagen at 0826 UT on February 28. On the next pass with AOS at 1003 UT it was not on. With regrets, we confirm the non-availability of the transponder on HAMSAT VO-52 since 28th February 2012. This is the first ever interruption in the services of HAMSAT since 5th May 2005. The timely feed back from John K8YSE, Domenico I8CVS, Eugenio IZ8JHD, Jan PE0SAT and Nitin VU3TYG were highly appreciated and acknowledged by the ISRO’s HAMSAT Mission Management Board. I’m herewith enclosing the mail received from Mr. T.Parimalarangan, Operations Director-HAMSAT VO-52 regarding the ‘Temporary Non-availability’ of VO-52 transponder and beacon. Simon Brown HB9DRV in Switzerland has made available a recording of Sunday’s AMSAT-UK 80m net that he made using a remote receiver in Poole, Dorset. What is remarkable about this recording is that a 20 km long experimental 2.4 GHz WiFi link was used at the Dorset end. The AMSAT-UK net is held every Sunday morning at 10am local time on a nominal frequency of 3.780 MHz. Due to interference the net may move either side of that frequency so tune around. Newcomers are most welcome to call-in. Listen to the AMSAT-UK Net recorded Sunday, February 26, 2012. Due to the experimental nature of the 20 km WiFi link there are a few breaks in the recording.